Mok Gwei Lan was born in Kao Yao, a small town near Canton. She was born into a famous Gung Fu family and started learning her family style of Mok Gar from her uncle when she was still a young girl. Besides gung fu she was also instructed in the art of dit da. Despite her aunts disapproval, Mok Gwei Lan continued her training secretly under the guidance of her uncle. She trained hard and diligently for many years, learning and mastering everything her uncle taught her. By the age of 16, she was already an excellent exponent of her family style as well as a professional prcatitioner of dit da. Mok Gwie Lan went onto to marry one of the leading figures of Hung Kuen , namely Wong Fei Hung. Due to Mok Gwei LAN’s strong background in her family style and her strong interest in gung fu, Wong Fei Hung taught his wife Hung Kuen. Later she became an instructor at her husbands school and was responsible for teaching all women’s class. Besides gung fu, Mok Gwei LAN assisted her husband in many ways. 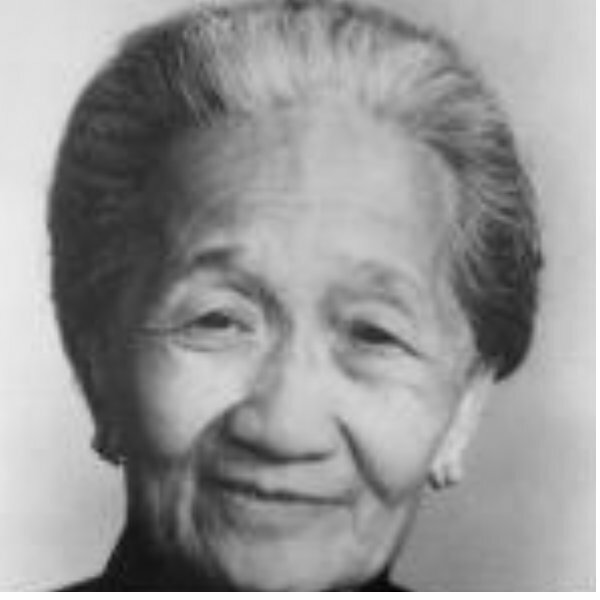 She was responsible to look after almost everything to do with “Po Chi Lam” Wong Fei Hungs famous school/clinic. Like her husband she also became a gung fu instructor of the army. She was also well know for her lion dance skills, in fact she was the first woman in Canton to take part in the public lion dance performances. She would often take part in public gung fu performances besides her husband. Like her husband Wong Fei Hung, she was also known for her righteousness and moral values. She had a kind heart, often helping those in need and defending the weak. One time she was headline news in all the newspapers in Canton when she rescued a young woman from bunch of robbers. After Wong Fei Hung passed away (circa 1924) she moved to Hong Kong with her children and lived in Wanchai where she carried on teaching gung fu until her death. Mok Gwei Lan was featured and appeared in number of martial art publications and newspapers. She was interviewed by Hong Kong TV a few times in the late sixties, and seventies. When She was about 83, she performed the famous Tiger and Crane form for the Hong Kong TV. Mok Gwei Lan passed away in 1983 in Hong Kong. . Some historical information contained on this page is gratefully reproduced with the permission of Hung Kuen Net.